Stunning Novel Depicts Bold, Brave Women of Seychelles’ Bygone Era… Hailed “Captivating” by Critics. BEAU-VALLON, MAHE, SEYCHELLES, February 25, 2016 /EINPresswire.com/ – Written from the heart by A.R. Tirant, ‘Echoes from the Oasis’ is the first volume in a compelling new series that thrusts readers back to the turn of the nineteenth century to explore the colourful history, religion, culture and changing role of women inhabiting the Seychelles. Tirant is herself a native of the islands, and her tale of love, faith, brevity and a deadly Smallpox epidemic goes beyond illustrating the region’s exotic beauty and natural charm to celebrate the sheer grit of the islanders of this tiny British Colony on the eve of the ‘First World War’. While millions flock to many of the Seychelles’ 115 islands in search of sand, sea and sun, few are aware that the region’s history is boundlessly tumultuous and fascinating. In her cinematic new novel, the author manages to skilfully hold the reader’s attention as the story develops its numerous threads that set the stage for a flurry of love and passion in the midst of hardships suffered by the young community of the tiny archipelago. Her penmanship is particularly remarkable in the manner in which she paints the historical backdrop to the stage setting as she introduces the main players whose lives and passions intertwine with the historical events of that period. ‘Echoes from the Oasis’ is a cocktail of love, adversity, religious oppression and societal change – all told through the eyes of a young nurse – Anna Savy – who refuses to experience life from the sidelines. But, as with any epic work of fiction, her thirst for more comes with its fair share of challenges… Our story opens in 1912 on the island of Mahe. The forces of newly found love between Anna, the daughter of an overseer, and Louis du Barre, the son and heir of the landed gentry, faces the almost impossible challenge because of their backgrounds and social status, taking them on a head on clash with all the norms and values of that period. While the novel’s central focus is naturally on the Seychelles, the story also visits many other areas of the world, their fascinating brushes with history, and their connections with the Seychelles islands. The myth of the ‘Garden of Eden’, the siege of Khartoum and the demise of British General, Charles Gordon, is prominently featured. Through two of the main characters, the hatred and mistrust between Irish Catholics and English Protestants shows the devastating impact of the ‘Potato Famine’ in Ireland, but it also highlights the power of forgiveness, and how we are all the same in God’s eyes. Without doubt, no story of a colony of Great Britain, no matter how tiny, could ever be told without showing the role played by the ‘Motherland’, so we see the garrison town of Greenwich and East London, with the mighty River Thames taking prime focus, with its numerous quays docking the Steam Ships plying those rich cargo routes of the colonies, but with a slight twist, as it is two English ladies of Greenwich who shows us the real East End. 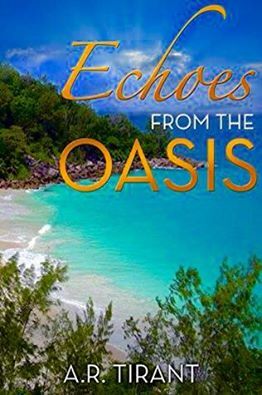 ‘Echoes from the Oasis’, from Beau-Vallon Publishing, is available in both Kindle and Paperback. Rosie Tirant-Longhurst, aka A.R. Tirant, was born in the Seychelles in November 1958. The daughter of a policeman and, the eldest in a family of four brothers and four sisters. She grew up on the northern coast of Mahe island, in the tiny seaside village of Beau-Vallon. 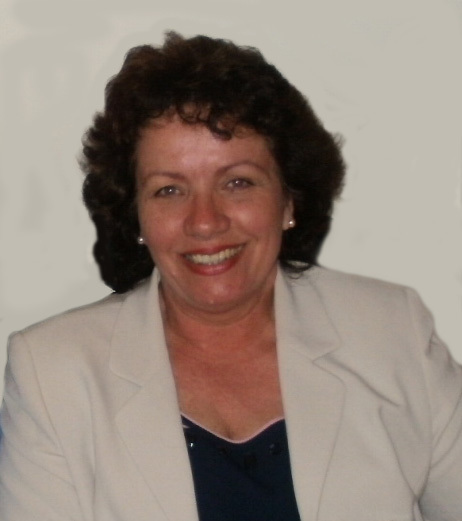 Her working life started in 1975 as a nurse at Mahe’s Victoria Hospital, and followed thereafter by a career in the Hotel Industry. She emigrated to England in 1995, and now lives in West Sussex with her husband. She has two grown up sons and a granddaughter. Rosie wasn’t born with a pen in her hand, far from it. Life growing up was hard and strict. The home comforts we all now take for granted were but a dream for the young girl whose days were divided between household chores, cooking, cleaning and looking after her young siblings. Water for all the household use had to be carried from a stream, with one hand holding a pail on her head, and the other keeping a second from spilling. Education only happened because it was the one way of getting some rest during the daytime, even if the chores still had to be done by the light of a coconut oil lamp. They were difficult times… times when she would lean against the pillar of the outdoor kitchen waiting for dinner to cook in the large black pots, staring at the tropical skies and marvelling at the diamond beauty of the scattering of stars above, and all the while wishing for a different life . . .
Disclaimer: If you have any questions regarding information in this press release please contact the company listed in the press release. Please do not contact EIN Presswire. 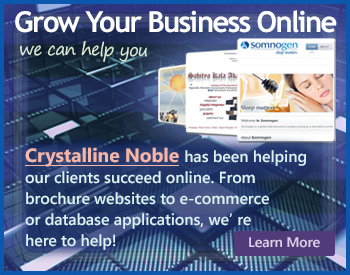 We will be unable to assist you with your inquiry. EIN Presswire disclaims any content contained in these releases. © 1995-2016 IPD Group, Inc. All Right Reserved.